Digital lending firm Capital Float on Monday said it has raised $45 million (Rs293 crore) in a series C round led by Palo Alto-based fin-tech investor Ribbit Capital, with substantial participation from follow-on investors SAIF Partners, Sequoia India and Creation Investments Capital Management. Creation Investments had last year led Capital Float’s $25 million series B round. 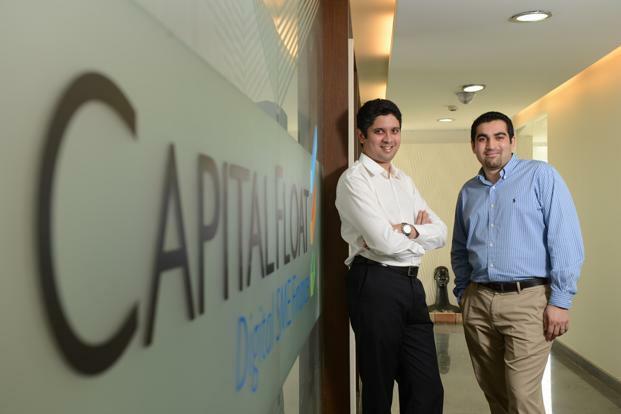 Capital Float will use the funds to expand its lending efforts, increase geographical footprint and invest in products and technology, founders Sashank Rishyasringa and Gaurav Hinduja said in a telephonic interview. The company will ramp up disbursements, with a special focus on loans to small merchants and kirana store owners, and is aiming to hit a loan book of Rs1,500 crore by March 2018. It currently has Rs700 crore in assets under management (AUM), and about 15,000 customers, mainly engaged in e-commerce-based selling, traditional retail, manufacturing and services businesses. The latest round takes the total equity investment in the company to $87 million. For Ribbit, this marks its fourth and largest investment in India’s financial services sector, besides Policy Bazaar (2014) and Zest Money and Money View (2015). It invested about $20 million in Capital Float as part of this round, which takes its total exposure in India to $40 million, partner Nick Shalek said. “We see two major trends unfolding and Capital Float embodies both of them. There has been an enormous gap between supply and demand in credit in India, and second, Indian businesses and consumers, in our opinion, are looking for modern brands that serve them well online and on mobile,” said Shalek, in a conference call from California. Ribbit’s investment suggests the growing interest from foreign investors in the fin-tech sector, particularly digital enterprise lending, in India. Recently, Chennai-based NBFC Five Star Business Finance raised funds from Norwest Venture Partners, while RentoMojo got Bain Capital Ventures and Lending Club founder Renaud Laplanche to fund its series B round. “We see great opportunities in wealth management and insurance, both of which Capital Float touched on. I think the opportunity for investors like us is to back entrepreneurs with great technology teams and focus on innovation who can build financial brands,” said Shalek. Capital Float is its major bet in the growing digital lending space. “We have seen a significant growth since our last round of funding—4x in terms of our AUM and almost a 10x growth in terms of our monthly disbursal volume,” said Hinduja. Started in 2013, Capital Float offers unsecured loans to medium and small enterprises and small entrepreneurs digitally, addressing a segment believed to be underserved by traditional lenders. “Since we are a lending business and money is the raw material, we also want to share that we raised a large quantum of debt from banks and NBFCs over the last 12 months, totaling $67 million (approx. Rs437 crore),” said Rishyasringa. Debt capital was infused by business partners—banks including RBL Bank, IDFC Bank, Kotak Mahindra Bank and NBFCs including IFMR and Reliance Capital. Capital Float uses proprietory credit-scoring and underwriting algorithms to on-lend funds it raises from banks and NBFCs from time to time. Over the past year, the company pioneered a hybrid model, where its financial partners “co-lend” alongside the company’s own balance sheet to fund borrowers. Currently, about 35% of the loans disbursed are through partner lenders. Going forward, the company will look to deepening technology integrations with partners, with the aim of having 50% of assets under management funded through co-lending partners, Hinduja said.